The Touareg (internally designated Typ 7L) was a joint venture project developed by Volkswagen Group, Audi, and Porsche. The goal was to create an off-road vehicle that could handle like a sports car. The team, with over 300 people, was led by Klaus-Gerhard Wolpert, and based in Porsche main base Weissach, Germany. 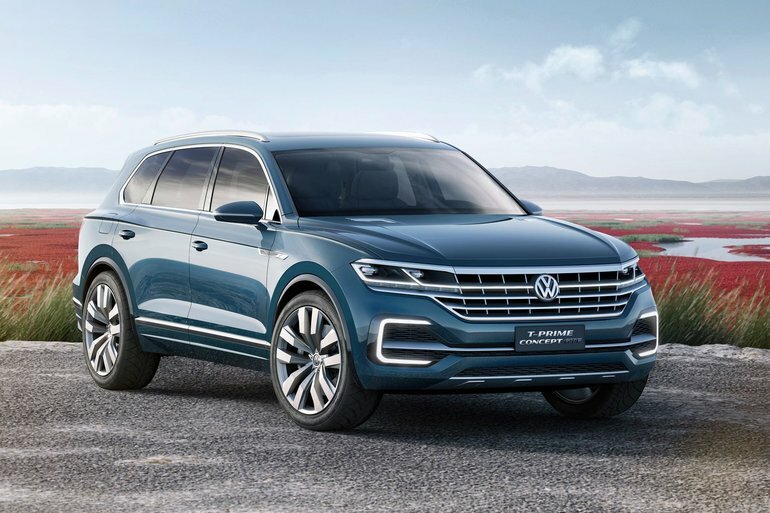 The result of the joint project is the Volkswagen Group PL71 platform, shared by the Touareg, Porsche Cayenne, and Audi Q7, although there are styling, equipment, and technical differences between those vehicles. The Touareg and Cayenne both seat five, while the Q7's stretched wheelbase accommodates a third row for seven passengers. The Volkswagen Touareg is built at theVolkswagen Bratislava Plant in Bratislava, Slovakia, alongside the Audi Q7 and the Porsche Cayenne. Due to the demand, and the exchange rates of euros against the US dollar, as well as different pricing and environmental policies in the USA, the V6 and V8 engine variants make up most of Volkswagen's American Touareg offering. Compared to other Volkswagen-branded vehicles sold in the USA which are aimed at the mass market, Touaregs came in the more upscale trims and placed in competition with other luxury crossover SUVs from BMW and Mercedes-Benz.